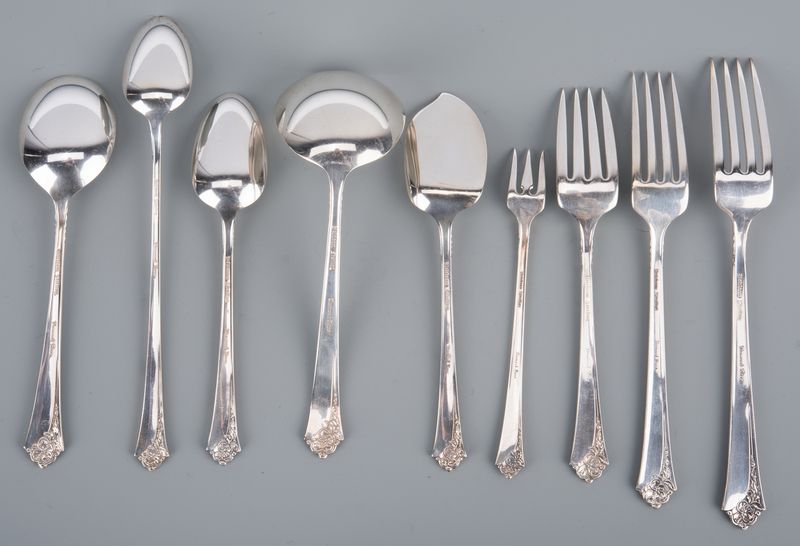 Lot 925: Oneida Damask Rose Sterling Flatware, 44 pcs. 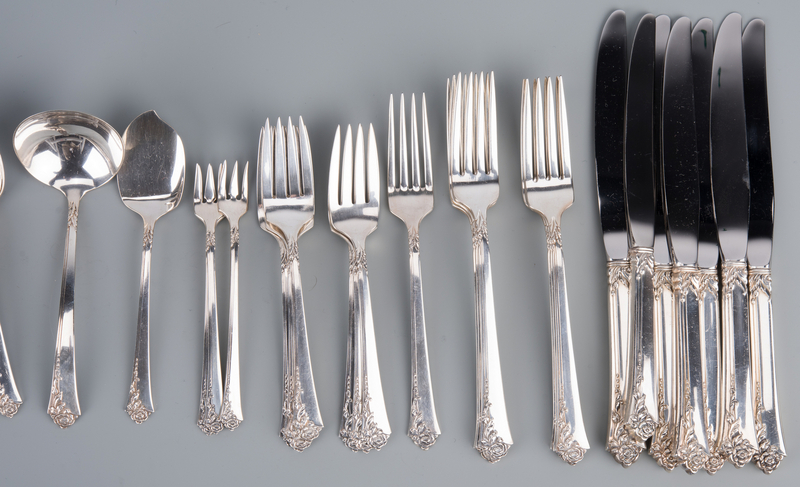 You are here: Home >> 2017 01 21 Auction - Knoxville, TN >> Lot 925: Oneida Damask Rose Sterling Flatware, 44 pcs. 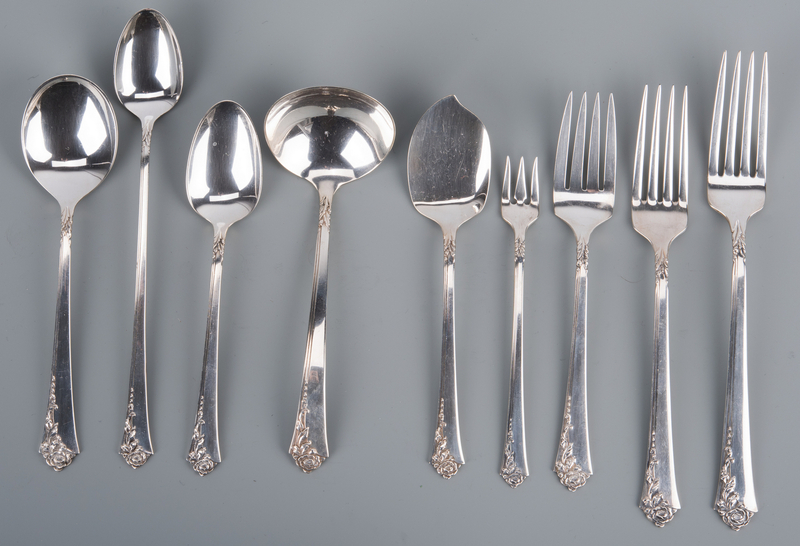 Oneida sterling silver flatware Damask Rose pattern, 44 pieces including 6 forks (7 7/8" L), 1 fork (7 1/4" L), 6 salad forks, 3 cocktail/seafood forks, 8 teaspoons, 6 soup spoons (6 1/2" L), 6 iced teaspoons, 1 jelly server, 1 gravy ladle, 1 luncheon knife (8 7/8" L), 6 dinner knives (9 1/2" L). No monograms. 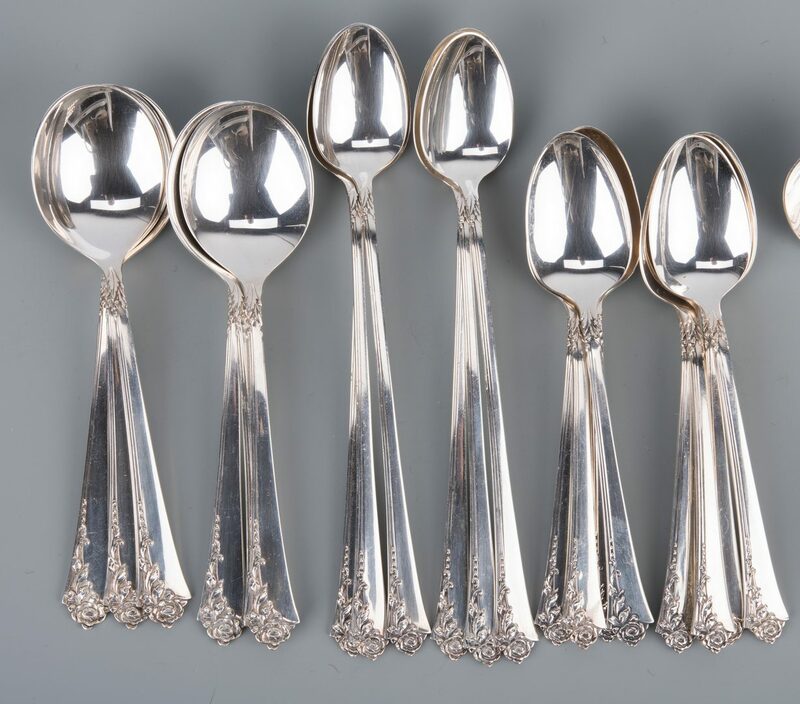 51.89 total weighable troy ounces. CONDITION: Overall good condition. No monograms.